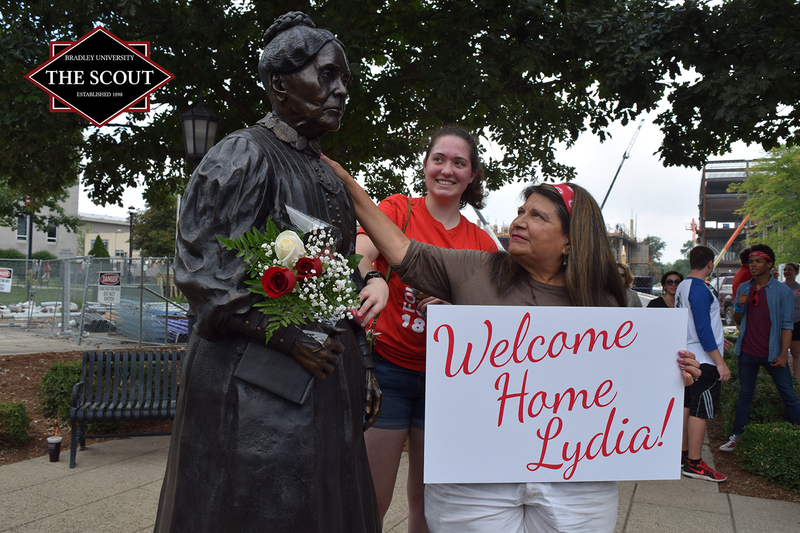 After repairing Lydia Moss Bradley’s statue for a little over two months, Bradley University revealed the statue today at the Founder’s Circle on Thursday, after it was struck by a vehicle and damaged in June. Bradley University President Gary Roberts, student-body president Mikki Tran and sculpture professor Fisher Stolz, who repaired the statue, spoke at the unveiling ceremony. Bradley University unveils the refurbished statue of Lydia Moss Bradley. Photo by Tony Xu. “For being hit by a car and pushed across the concrete and pavement, she looks pretty good.” Stolz said. “It had a number of abrasions primarily on the upper back, a couple on the front and the top of her head.” According to Stolz, the substructure that holds the statue to its base was also damaged and had to be replaced. Many students, faculty and staffs attended the ceremony with flowers and signs they made. “This community will not be like anything it is today if it hadn’t been for Lydia Moss Bradley,” Roberts said. 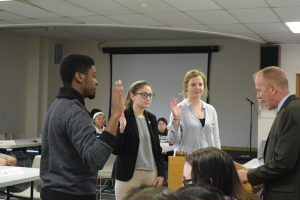 “It was cool just to see students of all backgrounds being able to attend the event. 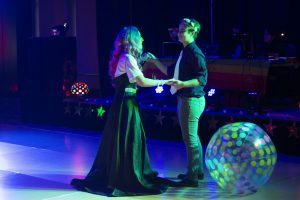 It was a nice mix of established members of the Bradley family like Res Life and Greek Life, as well as new members of the family that were there for orientation.” said Alex Jaeger, a senior electrical engineering student.